I stumbled across this website a few weeks ago, and decided I needed to start following it immediately. So many cool ideas for drinks! The apple pie bourbon was the first thing I saw and I wanted to make it for our friends Thanksgiving. 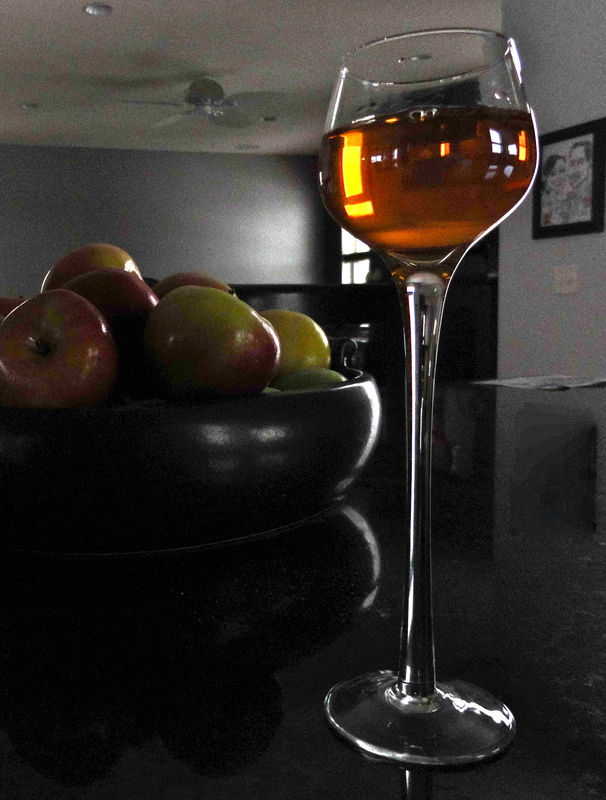 Bonus: I could make a pie with the apples after they’ve infused the bourbon. Neato!! I’m not generally a bourbon person, but this just sounded so delicious that I had to try it. I served it with dessert, which was the bourbon apple pie, and they went so well together (duh!). I didn’t heat the glasses well enough, but the bourbon was definitely better a little warmed rather than room temperature. The spices really came through and it tasted far less bourbony than I anticipated. I cannot wait to try more recipes from Boozed + Infused! 1. 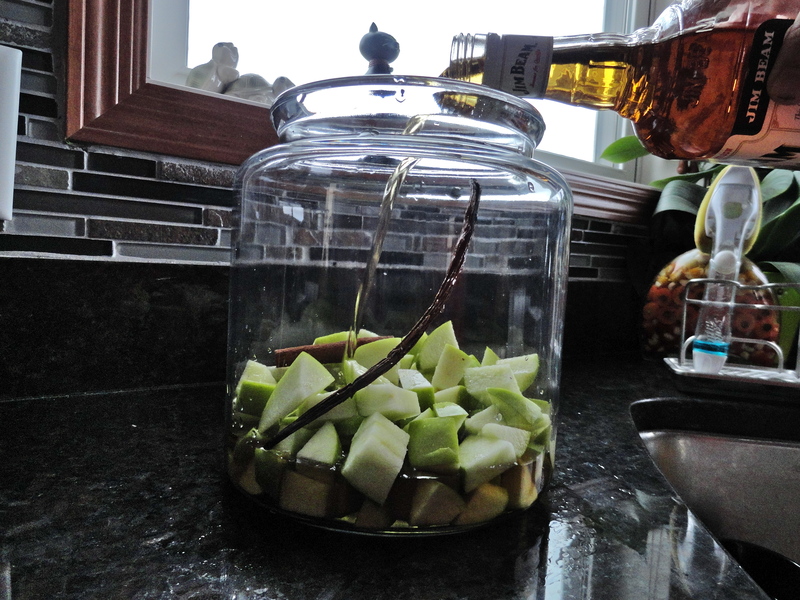 Place apples, cinnamon stick and vanilla bean in large jar. Add bourbon, making sure all apple slices are covered. Close tightly and shake or stir every few days. Allow to infuse for about a month (this means you’ll want to taste it every week or so) until it reaches your desired taste. Strain through a mesh strainer or cheesecloth. Hi there, I’m so glad you liked the infused bourbon! And your pie looks amazing! I will need to try that crust. It was really good. Definitely helps to warm you up on a cold day! Thanks, Leo! I’m glad you liked it 🙂 We still have more…maybe we’ll bring it for Christmas!